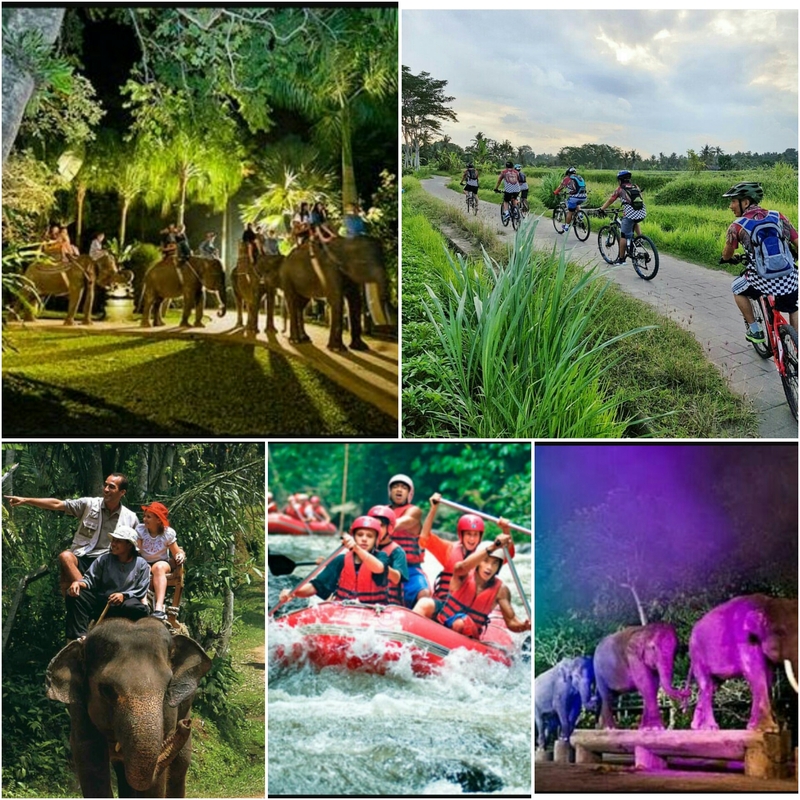 1.afternoon cycling + night safari + show + dinner. (2.270K adult | 1.590K child | 6.900K family) . price included :return hotel transfer + cycling + elephant safari park entrance + elephant safari night ride + show + dinner + insurance. 2.Afternoon rafting + night safari + show + dinner. (2.350K adult | 1.640K child | 7.150K family) . Pick up time 11:30am – 12:00pm.